The term project will require you to estimate vehicle populations for each county in Colorado (n=64). Step 1. Select a unique Make-Model from this list of available vehicles and email your selection to me. First come, first serve (students may not work on the same Make-Model). Step 2. In reply to your email I will send population data for your vehicle. The data will have 500+ rows corresponding to different counties in the US (but not all US counties) and the population of your vehicle will be listed. This will be your response variable (y). Step 3. Download demographic data for all US counties. These are your predictor variables (x). You will need to insert your vehicle population data into the demographic data sheet to facilitate analysis. Step 4. Use these data to estimate the population of your selected vehicle in each of Colorado’s 64 counties. Last chance to submit will be during our Final Exam time slot. 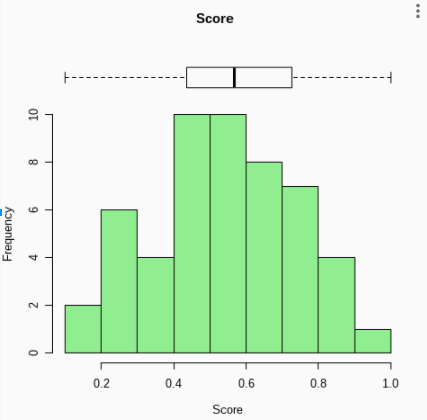 Complete the Statistical Thinking in Python (Part 2) course. Or you create your own project (and find appropriate data)?